Ever since the force awakened, all my boys can talk about is Star Wars. It used to be superheroes that ruled this roost. Now we are focused on a galaxy far, far away. I thought it would be cute to do a follow up post to my Superhero Easter Eggs from last year. Thankfully, I have a sister who is a graphic designer and came up with this adorable Star Wars clip art. 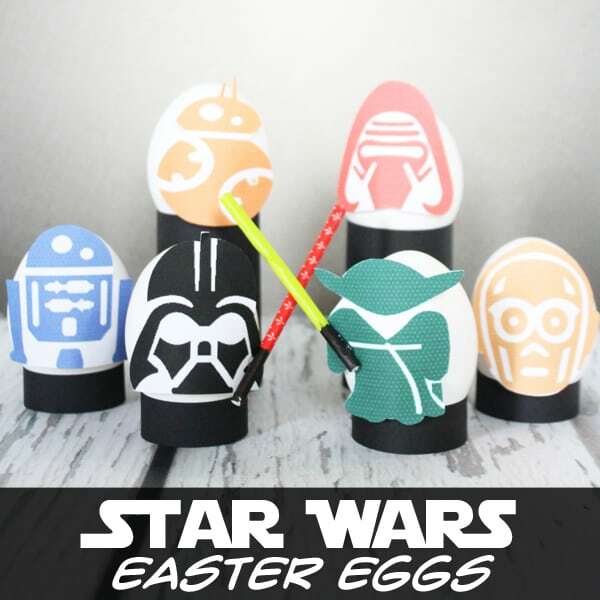 These Star Wars Easter Eggs are exactly what you have been looking for! 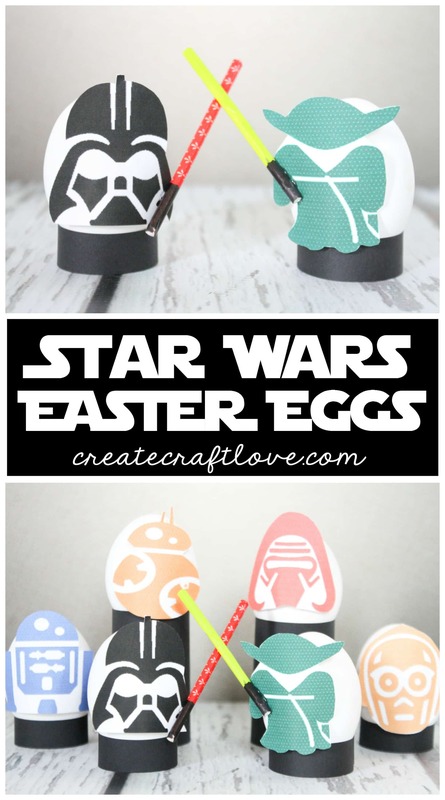 This is such a simple Easter idea! Simply download the printable, print on white cardstock and cut out the characters. Once all of your characters are cut out, glue them to some hard boiled eggs. 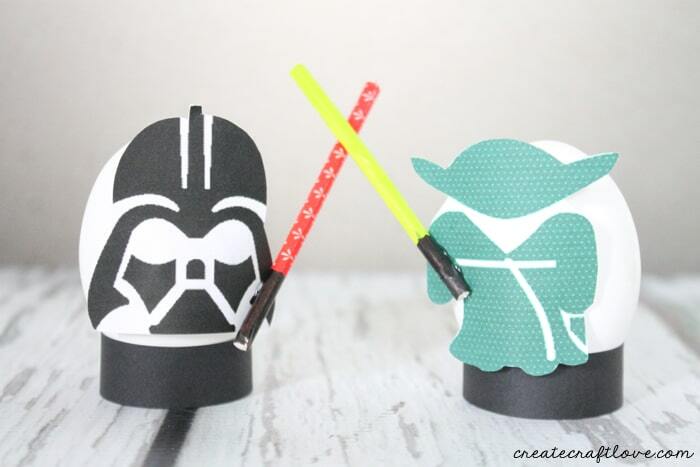 I made the little lightsabers with lollipop sticks and washi tape. I would LOVE if you pinned this image! 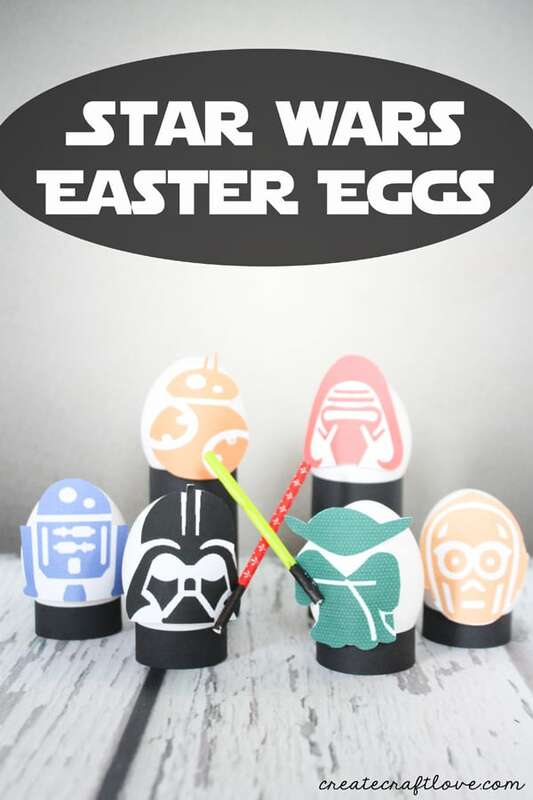 Click HERE to download your FREE Star Wars Easter Eggs Printable! This image shares great on FB! Click HERE to see more Easter Ideas!